The Jebel Ali Port is the largest port in the Middle East, the port is located next to the mountain and the port town is located 35 kilometers south-west of Dubai, United Arab Emirates, near Abu Dhabi. Jebel Ali Free Zone is a free economic zone in the Jebel Ali area at the far western end of Dubai. Jebel Ali is easily accessible from Dubai because the area is connected to Dubai via the UAE Exchange, Danube and Energy stations on the Dubai Metro. It is also accessible from Abu Dhabi. Furthermore, Al Maktoum International Airport is next to the port area, and Dubai International Airport is a 45 minute drive from Jebel Ali Free Zone. All this makes commercial for sale in Jebel Ali very popular. Thanks to the depth of the harbor and considerable size of the port facilities, Jebel Ali has become the port most frequently visited by the United States Navy ships. Several infrastructure projects been built to support the port and town, one of them is the Jebel Ali Desalination Plant, which is the world's largest desalination plant. Commercial for sale in Jebel Ali has always been popular amongst investors. 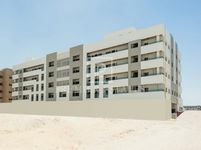 Jebel Ali Free Zone ( JAFZA) began operations in 1985 with standard size office units and warehouses to provide ready built facilities for different businesses. Then later in 1990, JAFZA expanded its facilities to include light industrial units. Jebel Ali Free Zone prides itself on being the most efficient associate for all types of business opportunities with its foundation, infrastructure and connectivity to the region’s extensive highway network, which makes commercial for sale in Jebel Ali a perfect choice. 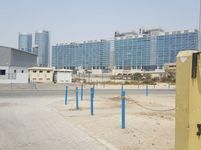 Commercial for sale in Jebel Ali Free Zone is a popular choice among foreign investors because they provide an array of incentives for businesses. These incentives include 100% foreign ownership, zero corporate and income taxes for 50 years, full repatriation of profits and capital, convenient factories and warehouses, support services and communications, superb public infrastructure, exemption from local labor restrictions, no foreign currency restrictions, and access to a consumer market of 1.4 billion people from countries within 6 hours of flying time from Dubai. All in all, Commercial for sale in Jebel Ali is the perfect choice for investors. Why buy a commercial property in Jebel Ali? Presently, Jebel Ali Free Zone is the world’s largest free zone. 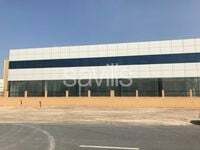 Commercial for sale in Jebel Ali freezone enjoys a prime location, not only accessible from Dubai but from everywhere world. Jebel Ali is strategically located in Dubai, in central location between Europe, Asia, and Africa. Commercial for sale in Jebel Ali Free Zone provides its owners access to a potential client base of over 2 billion people. 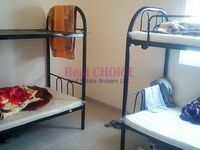 All important destinations in the United Arab Emirates and the Middle East region are a few hours away from Jebel Ali.